Andrew’s BBQ Catering (formerly Barbecue Company Catering) is known Valley-wide for its mouth watering barbecue specialties cooked fresh on-site at your catered event. But we do a lot more than barbecue. Whether it be Mexican favorites such as burritos, enchiladas and quesadillas, chicken specialties, or your favorite meats with a choice of delicious sides, we promise great food and first class service. Let us help plan the details of your special event no matter if it is a corporate picnic for thousands, an intimate gathering at your home, or anything in between. 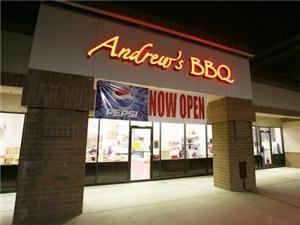 Wherever people gather to enjoy great food, good company and a wonderful time, Andrew’s BBQ Catering is at your service.